Did you see that picture?? Did you see it? 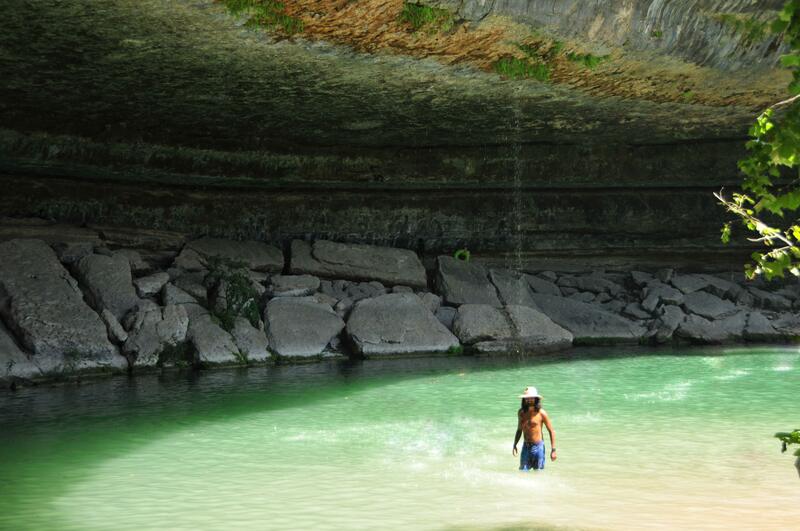 ?😱 That’s from Hamilton Pool which was AMAZING!!! 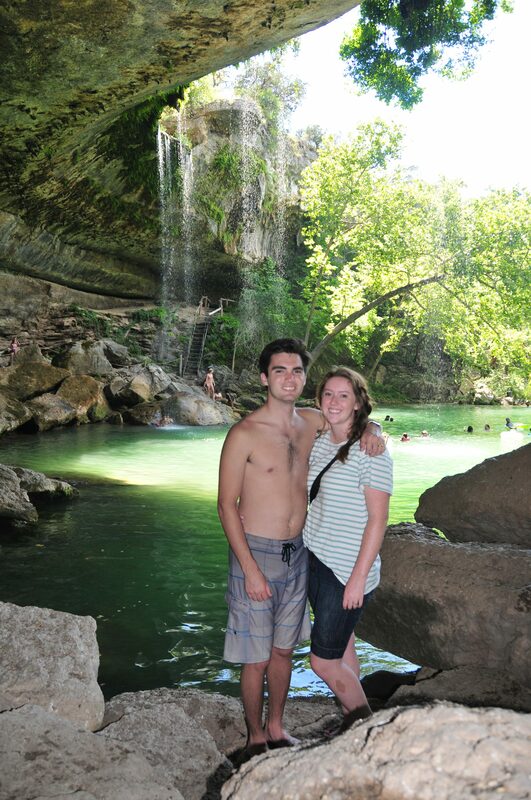 It was so hot in Austin, so we tried to stay cool by hanging out in the water, and this is one of the places that we visited. If you are ever in the area, it’s a must see. The water is beautiful, and there is so much natural shading, so if you are worried about sunburns, just hang out in the shade! 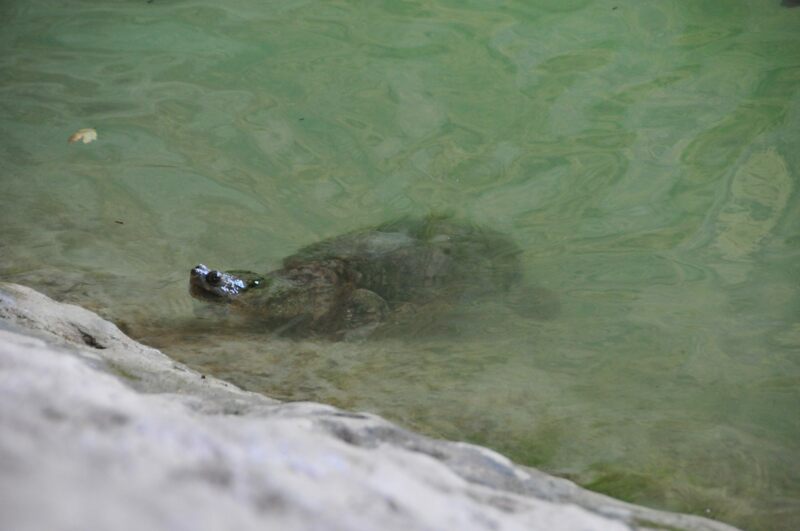 There were some huge turtles in the water too! Mason’s friend Casey caught one, but it escaped when he tried pulling it up. 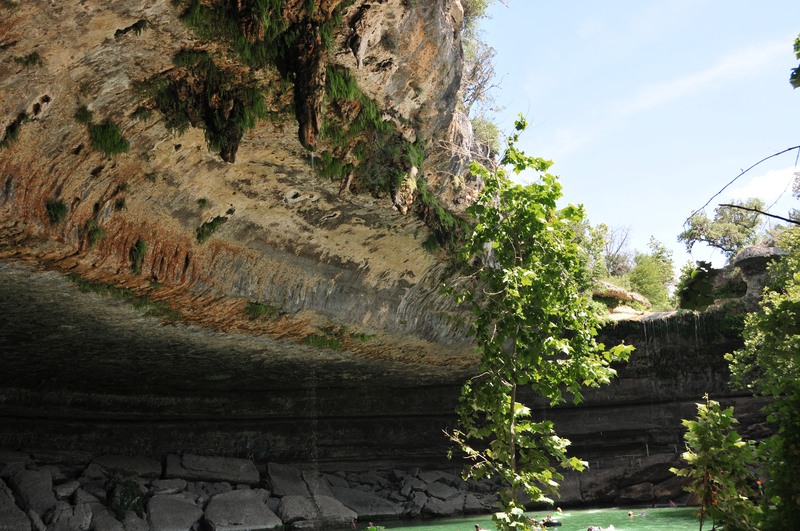 Hamilton Pool was designated a nature preserve in 1990. 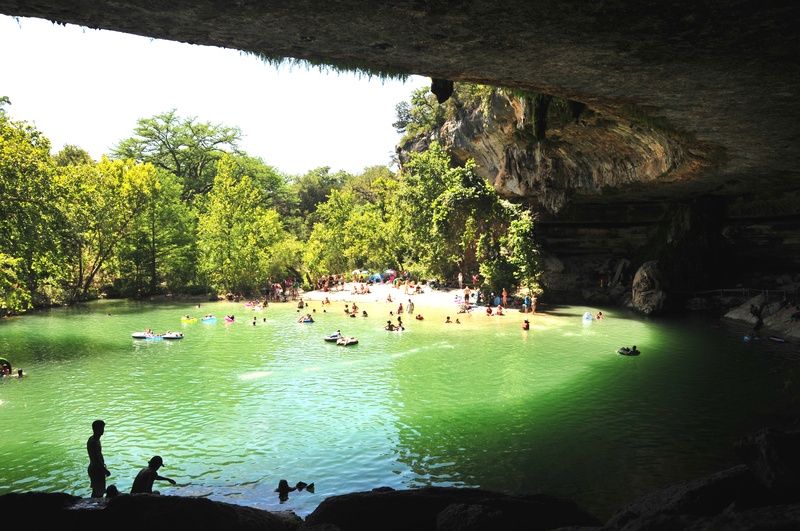 In the 1880s, a family from Germany purchased the land surrounding the grotto, and it is rumored that their 8-year-old son is the one who found Hamilton Pool. The land was used to raise various species of livestock for the following century. 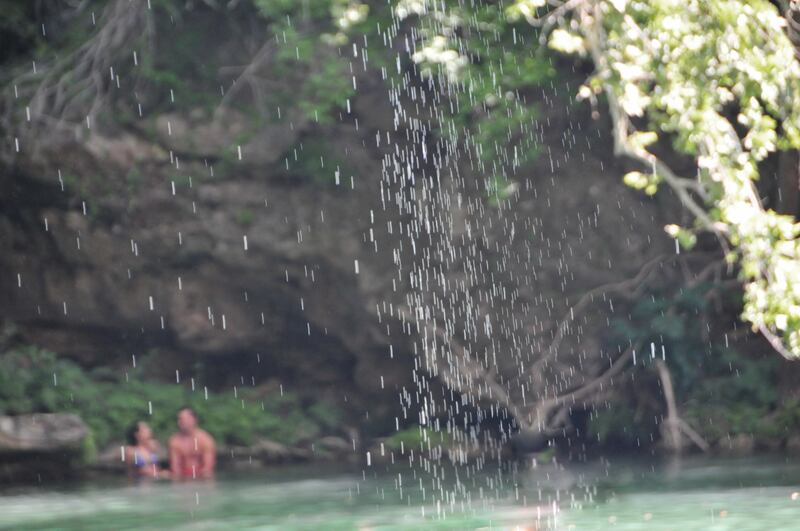 Between the 1960's and the 1980's, the pool became increasingly popular, so, between the livestock and the humans, the vegetation around the grotto took a pretty bad beating. 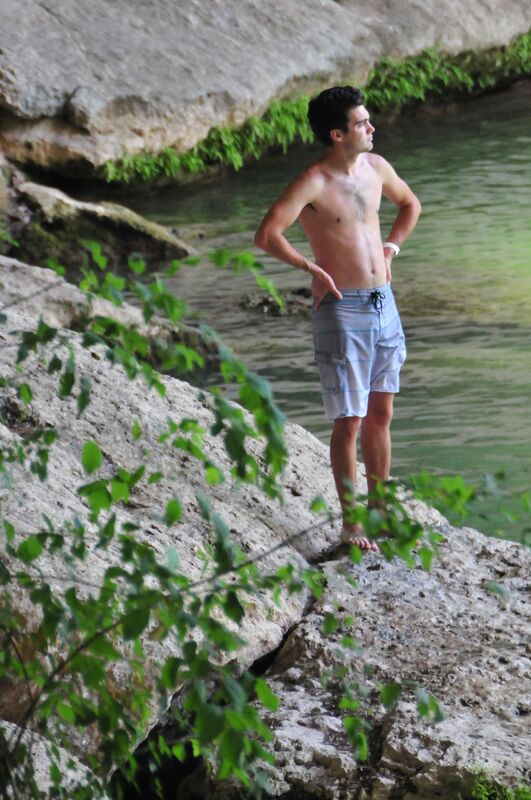 Luckily, Travis County claimed the land and declared it a nature preserve, so we can still enjoy this GORGEOUS area! 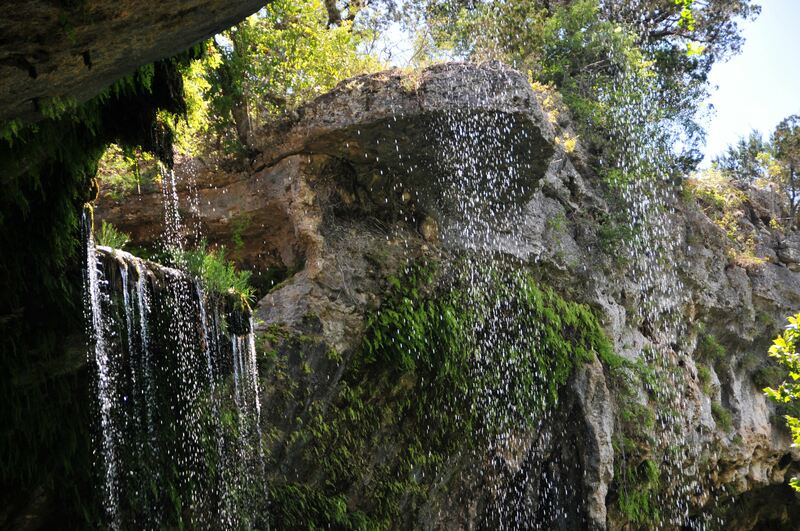 The trail from the parking lot is only about .25 miles, and it's pretty easy, so it's a great outing for younger kids. The beginning of the trail might be a little steep for really young kids (3 and younger) on the way back from the pool, so you might need to take the last little bit slower if you have young kids. THIS is the official website where you will find all the information. You need to make reservations ahead of time. If you do not have reservations, they will not let you into the pool. You only need to make reservations if you are planning on going between May 1- September 30. Here is the phone number to call if you want to take that route: 512-264-2740, but you can also make the reservations online. The reservations are $11 for every group of 8 people, and there is a $15 per car entrance fee to get into the parking lot. Sometimes the pool is closed to swimming, like if there was recent rain, or if the bacteria levels are high and the trails are unsafe. 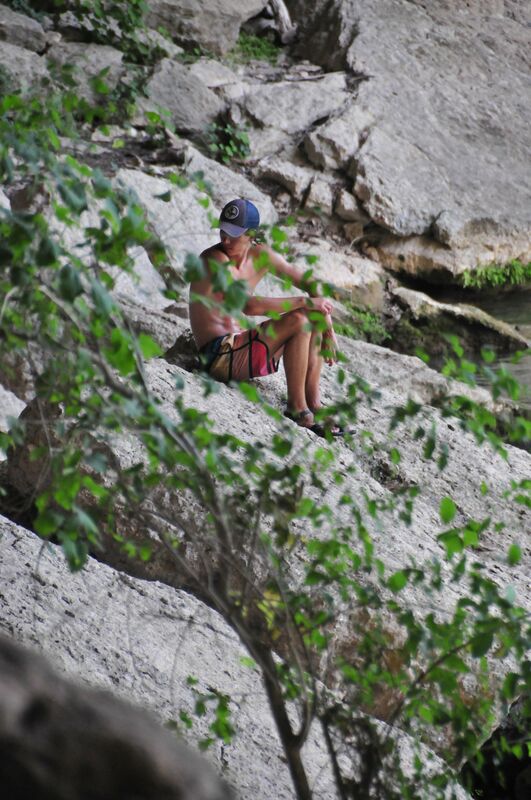 If you have reservations, just call this number: 512-264-2740 and there will be a recording that tells you if you can swim or not. If the pool is closed for swimming, you can still go to the pool and explore (which is totally worth the trip) even if you are unable to swim. Make sure you plan for this trip. We made our reservations about a month in advance because the slots fill up really quickly (I checked the website, and they are already completely booked 5 weeks out)! 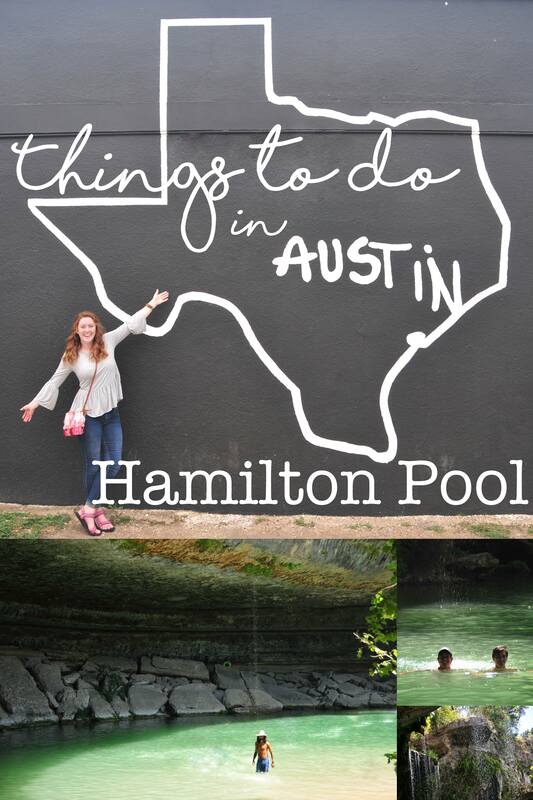 Sorry that I am posting so much about Austin (I promise this is the second to last post about that trip), we just had such a great time exploring, and I want to share EVERYTHING! 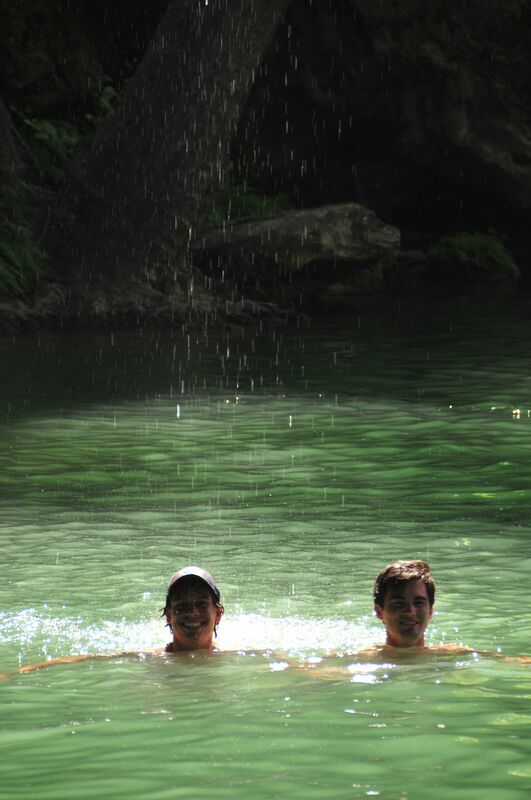 I loved these pictures of Mason and Casey in the water, even if you can't see their faces very well!